Boca Raton, FL - December 2011 - "This is something special,” said President Rick DuPuis of Royal Capital Management a registered investment advisor firm in Boca Raton, Florida. All our growth has come from existing clients adding to their money they have entrusted us with and from new clients being referred to us. We haven't merged or taken on any new partners. So I believe it is proof that we are doing the right thing in how we manage our clients assets and take care of their money, especially in these very volatile times, said DuPuis. The ranking was made by Financial Advisor magazine, a leading trade publication for the industry. 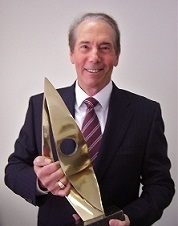 When asked more specifically what he attributed the outstanding growth to, DuPuis said, the more concerned people become about the economy and making the right moves with their retirement savings, the more they naturally seek out firms like ours that have experience, knowledge and a proven record, in our case, since 1975, of putting the client first. "We're always eager to point out to people that unlike the typical stock broker or insurance sales person who can legally put their own interest ahead of the customer's when making a recommendation, we work for our clients as fiduciaries. That means we take on the higher standard of putting the client's interest first,” DuPuis said. When you consider how the financial world is always changing and products have gotten quite complex, we find many people simply want to work with someone they feel they can trust to put them first. Of course, to really make a client happy and have them refer their friends to you, you have to be more than a trusted advisor, you have to perform. And I believe our process called The Four Component Portfolio Plan designed to assist with the all-important asset allocation of a client's assets, gives us an edge, DuPuis said. Boca Raton, FL - November 20, 2011 - Royal Capital Management, a Boca Raton financial advisor firm, was ranked #2 in the state of Florida by Financial Advisor Magazine in their latest survey of top investment advisor firms in the country for growth in assets. This was the fifth time in the past six years the firm has been ranked either nationally or in the state in the top category. "Considering the almost unprecedented volatility the markets have been experiencing and how uncertain the economy continues to be, we are so pleased that our clients have valued how we have managed their assets and have referred others to us”, said Rick DuPuis, CFP and Pres­­ident of Royal Capital Management. When asked what he attributed the growth in his firm at a time when many financial firms were struggling, DuPuis said actually when the economy and the markets are the most stressed, is when people turn to professional firms such as ours that can offer a long term track record. "This is a business where people want to work with experienced, knowledgeable people. When it comes to their health, people prefer a doctor with experience they can trust. And when it comes to their money, we always say, "next to you, no one will work harder or care more about your money”. We have been doing this since 1975. Boca Raton, FL - December 06, 2010 - Royal Capital Management is the only financial advisor firm in Boca Raton to be ranked in the Financial Advisor Magazine 2010 top investment advisor firms in the country for growth in assets. In the state of Florida the firm is ranked 4th, in its asset size category, and this was the fourth time in the past five years the firm has been ranked either nationally or in the state in the top category. "Considering the volatile markets and how uncertain the economy has been, we are especially proud that our clients have valued how we have been steering through these times, and have referred others to us”, said Rick DuPuis, CFP and President of Royal Capital Management. When asked what he attributed the growth in his firm at a time when many financial firms were struggling, DuPuis said it is our experience and our commitment to serving our clients. Some years ago realizing so many more Americans were entering the retirement stage of their life, we developed our Four Component Portfolio Plan. It has been well received. Clients like how it works to allocate the different percentages of their overall portfolio to growth and income. It gives them a clearer picture of what they can expect and helps us monitor our progress in meeting the dual responsibilities of retirement income and additional growth, he said. Additionally, as I speak with people, I believe we are also benefiting from the widespread media discussion of the difference between financial advisors who work as salespeople and financial advisors who act as fiduciaries. Up until recently, few investors understood, or even knew of, the significant difference. The basic difference is a salesperson can put themselves ahead of their client when making a recommendation, but a fiduciary has to put the client's interest first. This means, for example, even if you don't know all the right questions to ask about an investment, the fiduciary is there looking after you. When we asked Rick for his prediction or outlook for the stock market next year, he said, that will come out in our January report to clients. Right now we have our fingers crossed that the market will finish the year strong as we're on record as saying at the start of this year. January 1, 2010 - Featured in the Sun Sentinel newspaper article Despite Scary Start, The Dow Wows in 2009. Boca Raton, FL, December 1, 2009 - For the Second Year in a row Royal Capital Management of Boca Raton has received recognition for outstanding growth of client assets among all registered advisory firms in the country. Nationwide they were ranked #3 in their category by Financial Advisor Magazine. "We are undoubtedly pleased to be ranked #3 especially when you consider how many other great firms there are in the country," said President Rick DuPuis. When asked how the firm has managed to repeat as a top ranked firm, DuPuis said it is probably a combination of factors. Certainly when you have such a stressful economy and the markets become more difficult to predict, people are more ready to seek out someone who has long term experience. We've been doing this since 1975. We've experienced a lot of ups and downs, he said. "And believe it or not, all these stories about Ponzi schemes and fraud in the news week after week helps us because people start to put more emphasis on working with someone they can trust," he said. For example, we attribute a lot of our growth to the fact that we serve the client as a fiduciary which means we are held to a much higher standard than what a typical stockbroker or insurance agent has to meet when it comes to investing client assets. The client knows that legally a fiduciary is obligated to think of them first when making decisions; salespeople don't have to put the client's needs ahead of their own. October 15, 2009 - Quoted in the Sun Sentinel newspaper article Dow's Rise Above 10,000 Spurs Talk of Recovery. April 3, 2009 - Quoted in the Sun Sentinel newspaper article Signs of a Recovery? Boca Raton, February 09, 2009 - Congratulations go to Royal Capital Management in Boca Raton on being ranked number one in the state of Florida for growth in firms under a quarter of a billion dollars as published in the 2008 ranking by Financial Advisor magazine. This is the second such award received by Royal Capital Management. The company was rated #11 in growth (in their asset class) in the nation in 2006. "At a time when many financial firms are seeing capital out-flows, we are especially proud to have not only added new clients and assets under management but out-performed all others surveyed in our asset class . Our firm isn't made up with multiple partners or have a marketing department, so this speaks more to our reputation of managing our clients' assets in a difficult environment and receiving referrals," said Rick DuPuis, CFP and president of Royal Capital Management. When asked specifically how such outstanding growth was achieved, DuPuis said he believed the firm was a beneficiary of the stressful times. In difficult economic times and constant negative headlines about so many big impersonal companies, people tend to seek out advisors who they can trust and believe have the experience to guide them through the economic turbulence, he said. "We've been doing this for more than 30 years and while every market cycle is different, it helps to have been there before," DuPuis said. We have developed over the years a proprietary system for building portfolios called The Four Component Portfolio Plan. After consulting with the client, a set of numbers are used that helps position assets into different asset classes, diversifying into different levels of risk versus reward. Not all our clients need to use this whole process, but it still serves as a principle in our money management. I also think we have been successful in growing our retirement business which encompasses not only the managing and maximizing cash flow for retirees, but our consulting process with small and medium businesses. Our experience and independence allows us to evaluate a company's current plan, especially 401(k) plans, and make unbiased recommendations to reducing plan costs, improve and measure performance and increase plan rate of participation. With everyone becoming more litigious it is especially important for companies, and the individual executives responsible for the plan management, to protect themselves from lawsuits from current and former employees over poor performance or excess fees. October 30, 2008 - Quoted in Sun Sentinel newspaper article Government Acts Again, Cuts Main Lending Rate. March 18, 2008 - Quoted in Sun Sentinel newspaper article Bear Stearns Near-Collapse Roils Investors. July 27, 2007 - Quoted in Sun Sentinel newspaper article Stocks Feel the Housing Slump. 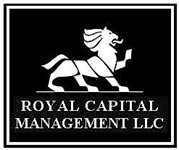 Boca Raton, FL, July 12, 2006 - Royal Capital Management was the only firm in Boca Raton to be listed in Financial Advisor magazine in their ranking of leading Registered Investment Advisory firms nationwide in the asset category of under $100 million. In this asset category, Royal Capital Management was among the top ranked Florida firms coming in at number 11. Financial Advisor magazine serves the entire financial community including financial advisors and accountants specializing in financial planning. The rankings of the 400 or more firms were in five asset classes from assets under management of $1 billion or more to those under $100 million. "We're very proud to have been ranked so high considering all of the many outstanding firms there are throughout the country", said President Rick DuPuis. When asked what he thought was most responsible for the growth of the firm, DuPuis said, "I think there are two main reasons. Our 30 years of experience in growing and protecting our clients assets during many up and down markets, and we have a process we use for our clients called "Total Financial Care". Royal Capital Management LLC is a fee based independent registered investment advisor with the SEC. All client assets are held at Fidelity Institutional Wealth Services or Fidelity's National Financial Services.